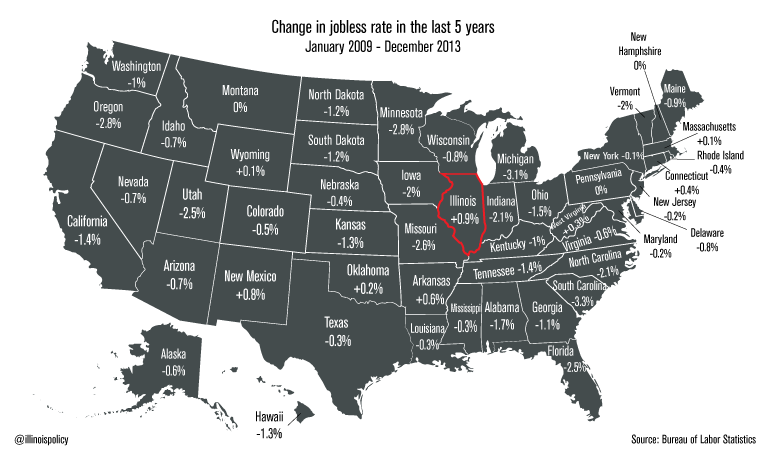 As pointed out by OneMan, this chart from the Illinois Policy Institute shows how Illinois' jobless rate has gone up more in the last five years than any other state in the nation. Is there an explanation for this? We're guessing the income tax increases the Democrats have jammed through are at the root of the issue. Head on over to the IPI blog to read the whole thing.